Loose lips sink ships or why discretion is the better part of valour. 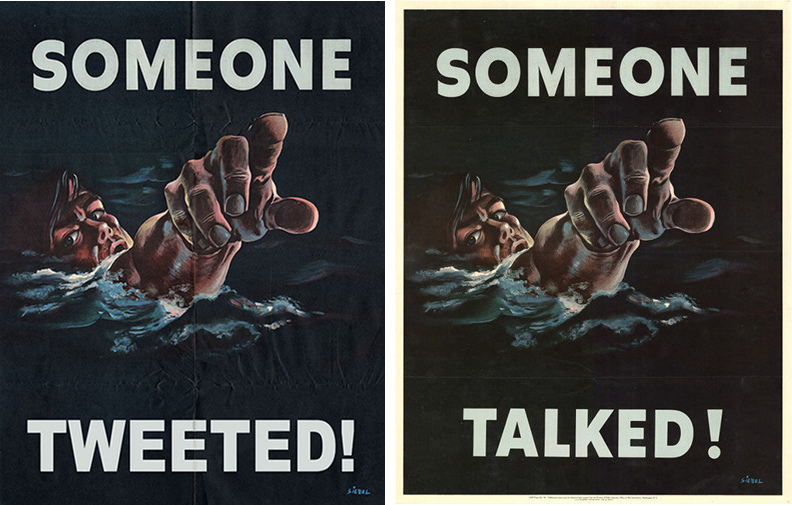 I don’t know how or why, but this week at L’Affichiste has been World War II week. 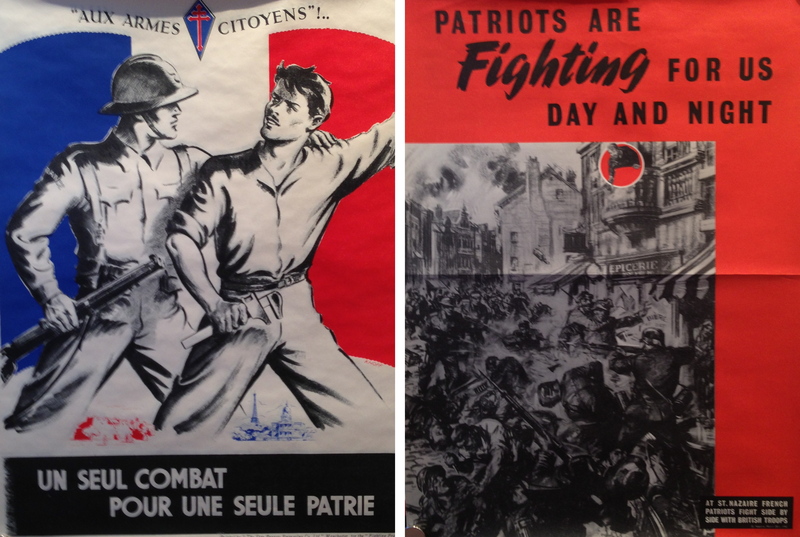 First, we sold a packet of fabulous posters to a dealer in France – all having to do with the Free French movement, and all quite spectacular and rare. We have a few left in stock… they look like this (and will be listed on our site when we have a few moments to spare). 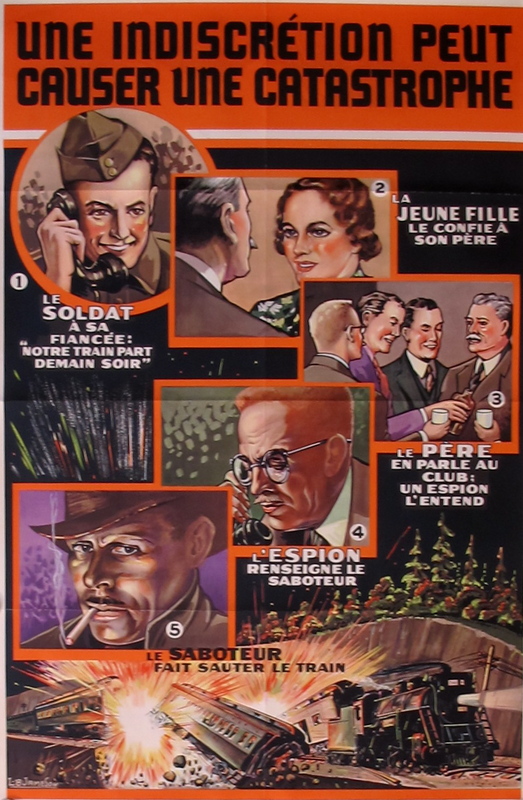 Then the Bibliothèque Nationale right here in Montreal asked us for a variety of WWII posters, all in French and all featuring the idea of ‘loose lips sink ships’. In our Internet era, where conversations, images and ideas are disseminated faster than ever before, the idea of not speaking, not texting, not instantly communicating seems so archaic as to be laughable. But it was – at the time – a real concern. 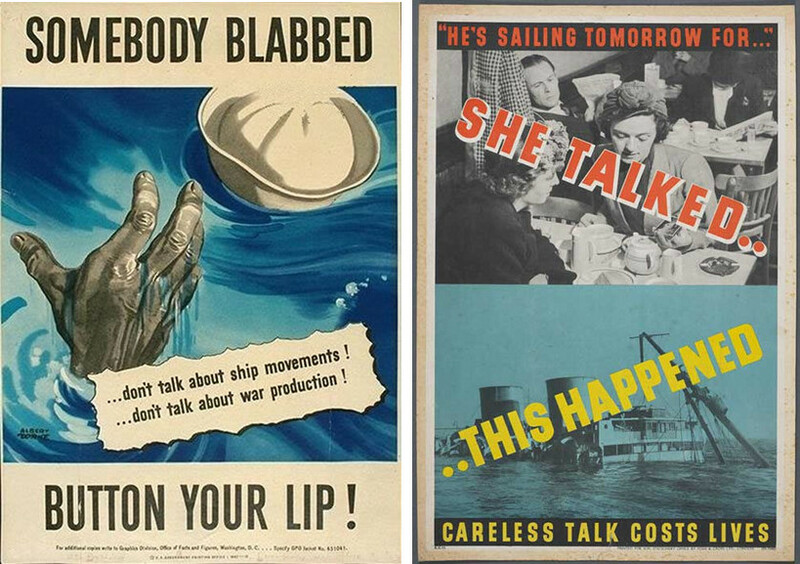 Cold War hysteria created another version of the ‘loose lips’ scenario (like in this video), but in our day, the idea of keeping quiet is so foreign to most of us that these posters take on a whole new meaning. Something to think about… quietly. Previous Posters we think Ricky Gervais might like….